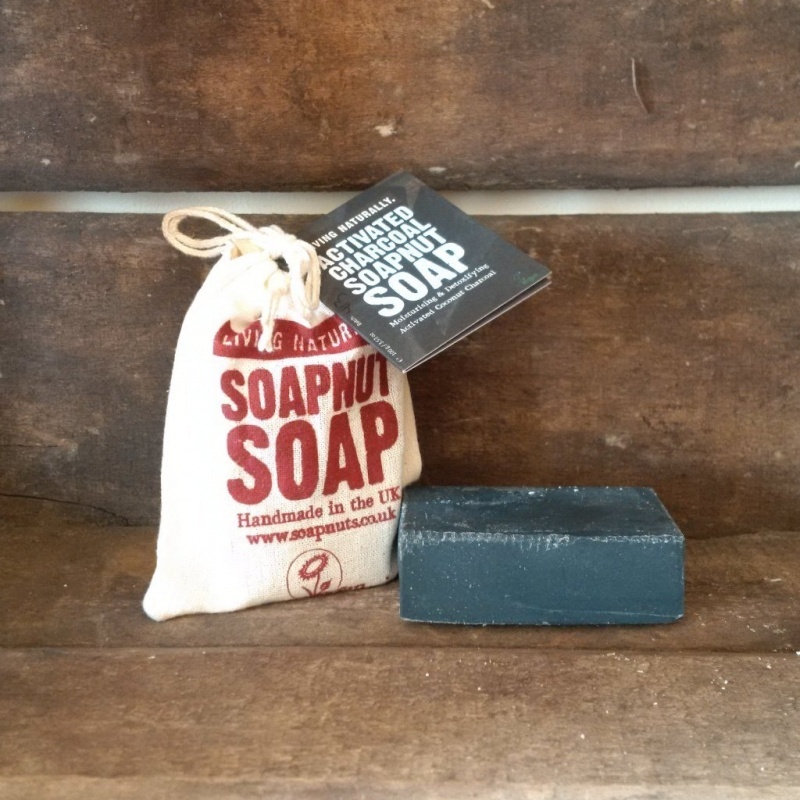 Activated Charcoal Soapnut Soap. Moisturising & Detoxifying. Suitable for all skin types. Moisturising & Detoxifying. Suitable for all skin types, especially for acne prone/oily/combination skin. Good for gardeners and cracked skin. "Lathers up fantastically well and easily. Yes, it does do the job very well, although it does seem a bit counter-intuitive to use a black soap for cleansing. I was pleasantly surprised that this soap doesn’t leave my skin at all dry and doesn't irritate it at all. I always moisturise, but didn't need to use any more than usual after having washed with this soap. The soap has not broken, bent or anything untoward. However, it's reduced in size far more quickly than our bar soap usually does which could well be a refelction of the fact that the whole family seems to have used it. " "Loved the packaging, loved that it's vegan, it could make a cute gift too. Unusual in it's appearance and scent and this was a good thing. Very unique. Nice." 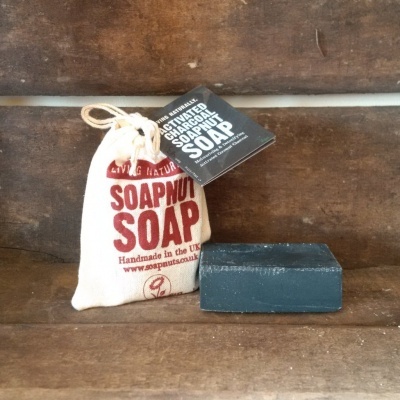 + ACTIVATED COCONUT CHARCOAL will help clear and refine skin by gently but super-effectively removing dirt, impurities, and oils and treating skin with complexion-boosting minerals. + ORGANIC SHEA BUTTER has a concentration of natural vitamins and fatty acids that makes it incredibly nourishing and moisturizing for skin. + ORGANIC AVOCADO OIL is rich in healing vitamins B, C, D, E, K and, especially, A. It has a high amount of vitamin E in it, which is an antioxidant, and it does hydrate deeper and better than coconut oil, due to its monounsaturated fat content. It has a high sterolincontent, which are compounds that are anti-inflammatory and immune modulating. In the case of avocado oil, they can help heal sun damage and age spots, as well as inflammatory skin conditions like blemishes and eczema. + VITAMIN E is a great anti-oxidant that will nourish and heal your skin.